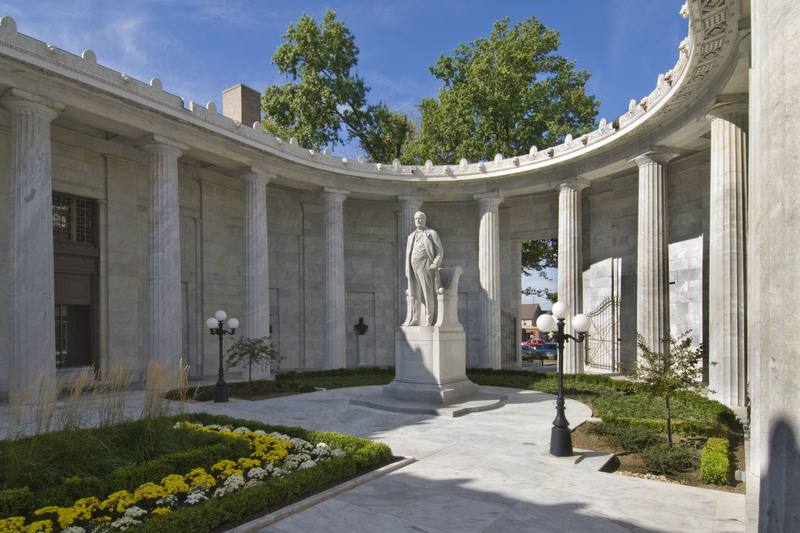 McKinley Memorial | BSHM Architects, Inc. 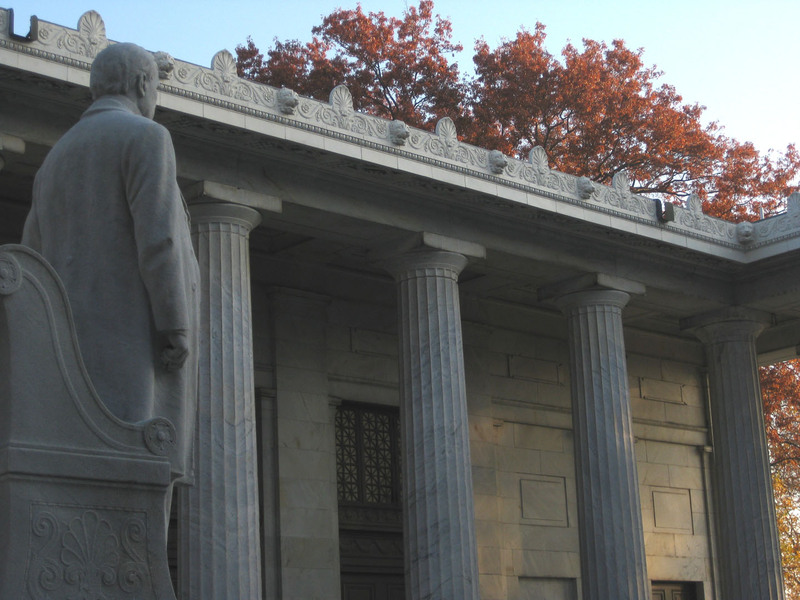 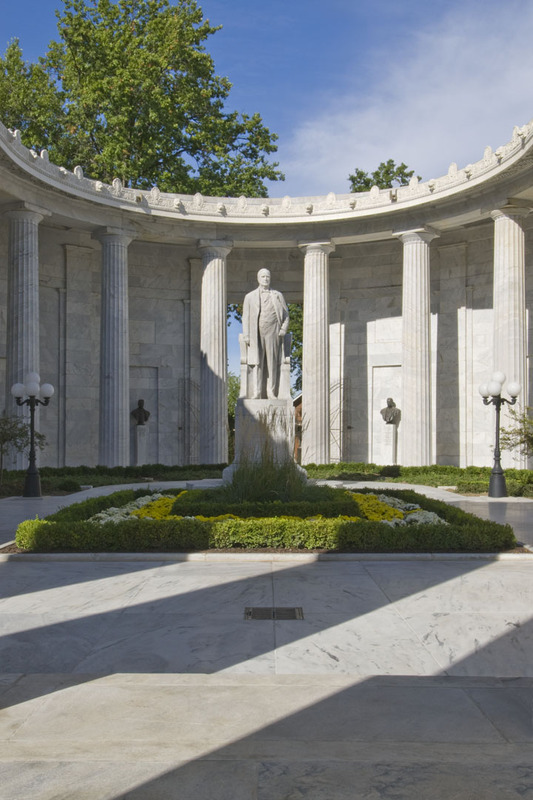 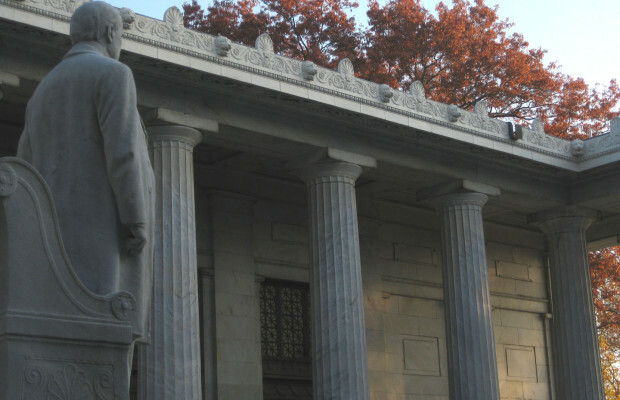 The McKinley Memorial is a tribute to William McKinley, the 25th President of the United States. 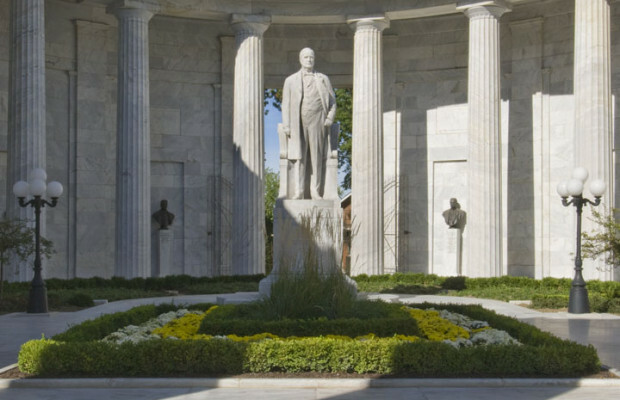 President McKinley was born in Niles, Ohio, the location of the Memorial. 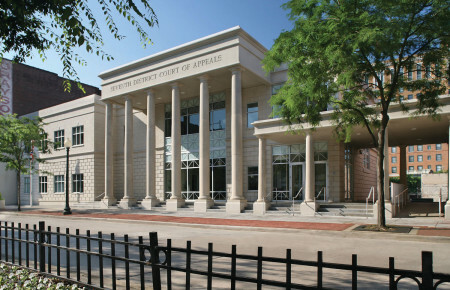 The facility consists of a Library and Museum. 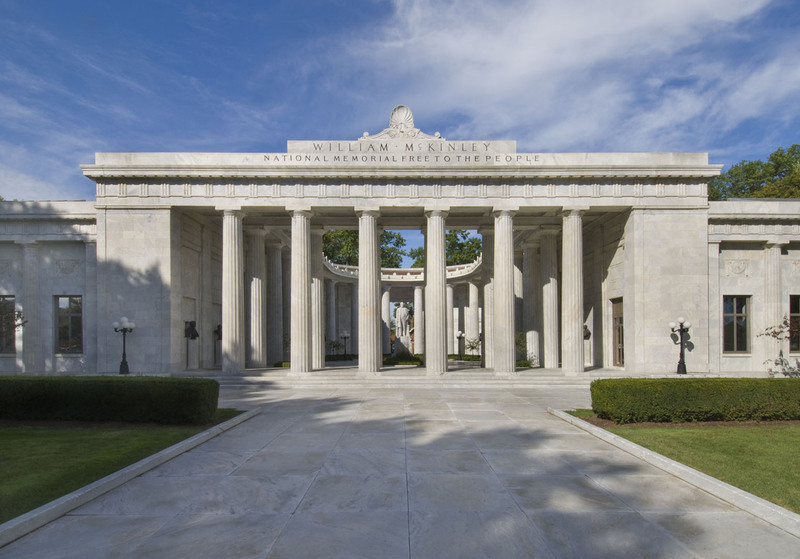 McKim, Mead & White, of New York, was the original architect. The McKim, Mead & White Library had been remodeled several times. 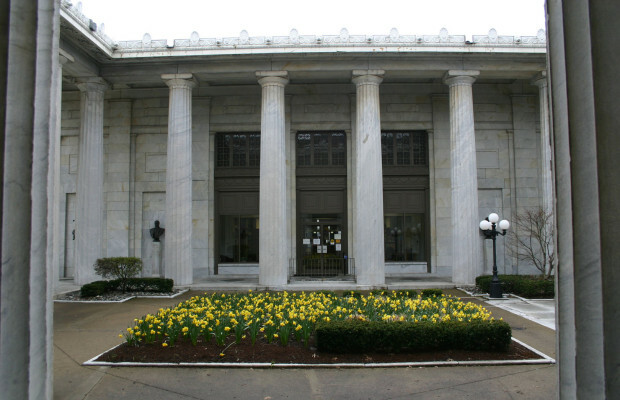 Drop ceilings were in place and much of the original plasterwork destroyed. 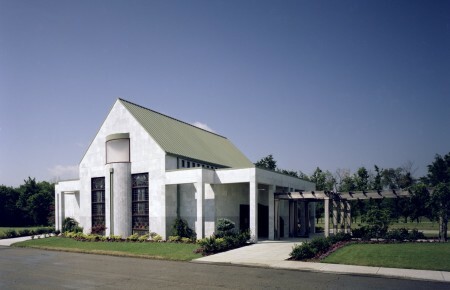 The Trustees originally planned to update existing finishes and replace the ailing mechanical system. 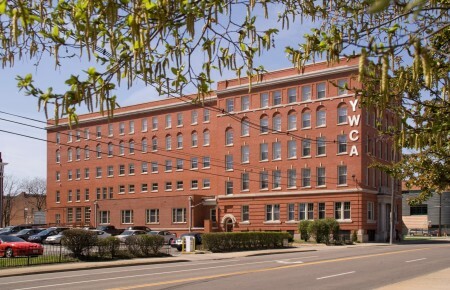 After the architects presented a proposal showing that restoring the original interior details and skylights, along with a new arrangement at the interior space, could be accomplished within the budget, the Board unanimously approved the plans. 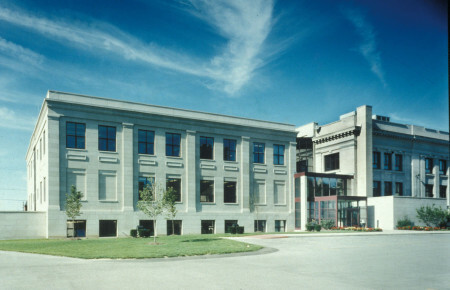 The Library remained open throughout the construction period. 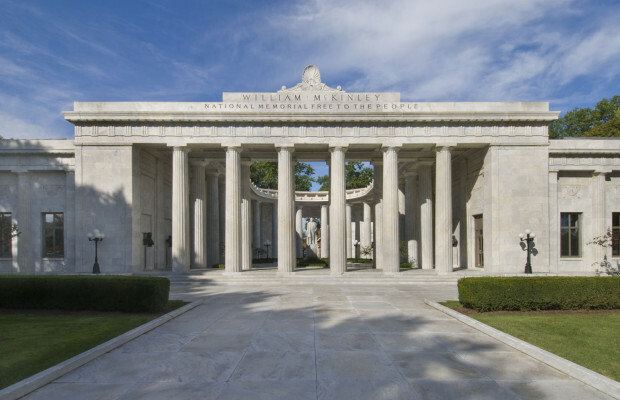 BSHM is currently overseeing the complete cleaning and restoration of the exterior white Georgia marble, terra cotta repair, roof tile, skylight repair and roof replacement at the Memorial. The Memorial is listed on the National Register of Historic Places.